The exceptional new BMW M3 Coupé and Convertible Limited Edition 500 are going to be launched in the UK market this month. 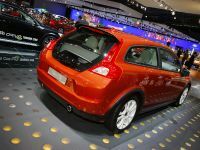 These special editions are strictly limited, and feature a colour palette of Imola Red, Mineral White or Santorini Blue. 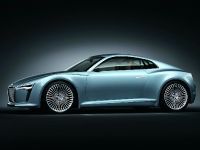 Only 500 of these models will be manufactured, and this number is combined for Coupe and Convertible variants. Each model includes an edition designation laser cut into the trim inlay on the dashboard. 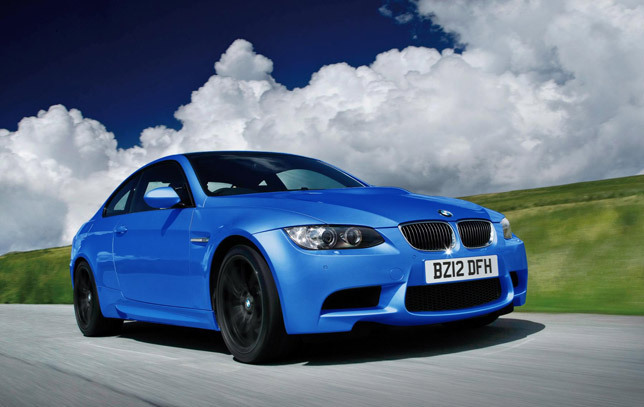 Mechanically, the vehicle is unchanged over the M3 in terms of technical specifications. 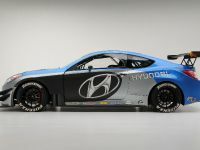 It uses the astonishing 420hp (309 kW) V8 engine, M-specific chassis with either six-speed manual or seven-speed M DCT transmission. 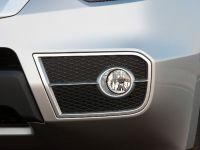 The BMW's are going to be available in three exterior colours, which are complemented by the characteristic M-car signature details of the kidney grille surround. The side gills and twin double exhaust pipes are finished in dark chrome. 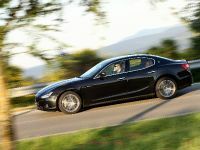 Both Coupé and Convertible models are equipped with BMW's high-gloss Shadowline exterior trim and are further improved by the 19-inch high-gloss black light-alloy wheels. 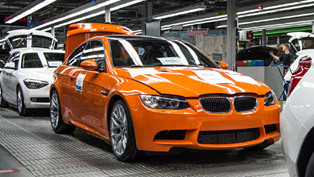 Each BMW M3 Limited Edition 500 will be trimmed with BMW's extended Novillo leather. 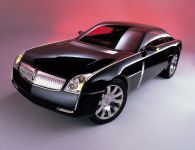 There also will be included a contrast stitching on the sports seats and door panels. 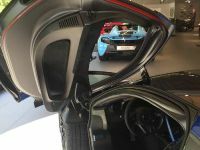 This of course will complements the exterior: Imola Red cars feature Black leather with Mugello Red stitching, Mineral White cars feature Fox Red leather with Black Stitching, and those cars finished in Santorini Blue feature Black leather with Tobago Blue stitching. Furthermore, the interior of the new Limited Edition 500 features BMW's Piano Black interior trim, with the edition designation – "One of 500" – laser cut into the left-hand side of the inlay on the dashboard. To be even more precise the BMW M3 is powered by the 420hp (309 kW) V8 engine that revs to 8,300rpm with 400Nm (295 lb-ft) of torque developed at 3,900rpm. 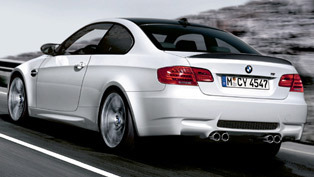 The BMW comes with M's six-speed manual gearbox as standard, complete with the variable M differential. BMW's M DCT (M Double Clutch Transmission) is optional and it serves in terms of fuel efficiency, decrease of CO2 emissions and faster acceleration. 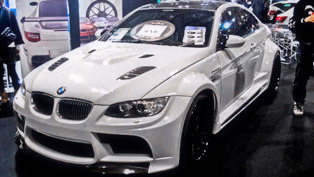 The exceptional BMW M3 is capable of accelerating from 0 to 62mph in just 4.6 seconds (Coupé with M DCT).It has a limited top speed of 155mph. 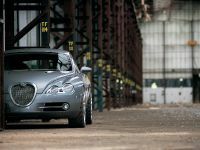 Nevertheless, despite these performance figures the car still delivers up to 25.2mpg on the combined cycle, due to the comprehensive suite of BMW EfficientDynamics technologies including Brake Energy Regeneration. 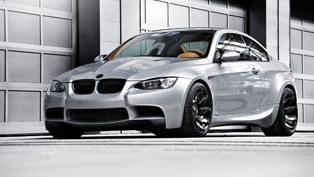 The price for the 2012 BMW M3 Limited Edition 500 starts at £55 690 for the Coupe and £59 785 for the Convertible model.